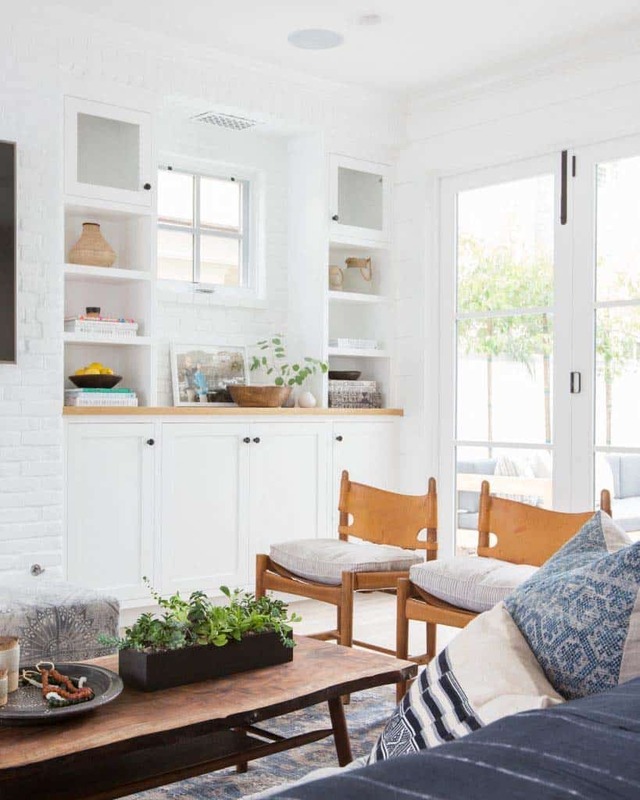 What We Love: This seaside home offers its inhabitants the best mix between indoor and outdoor living. 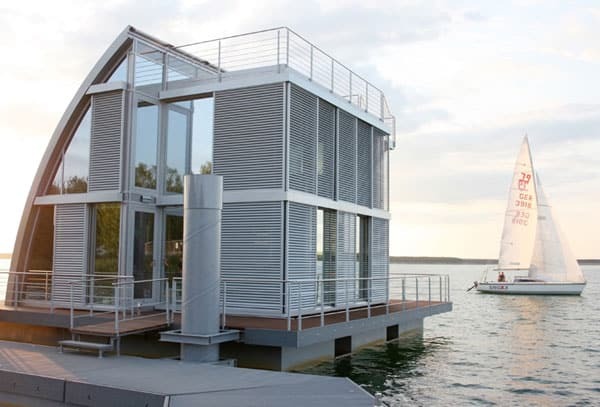 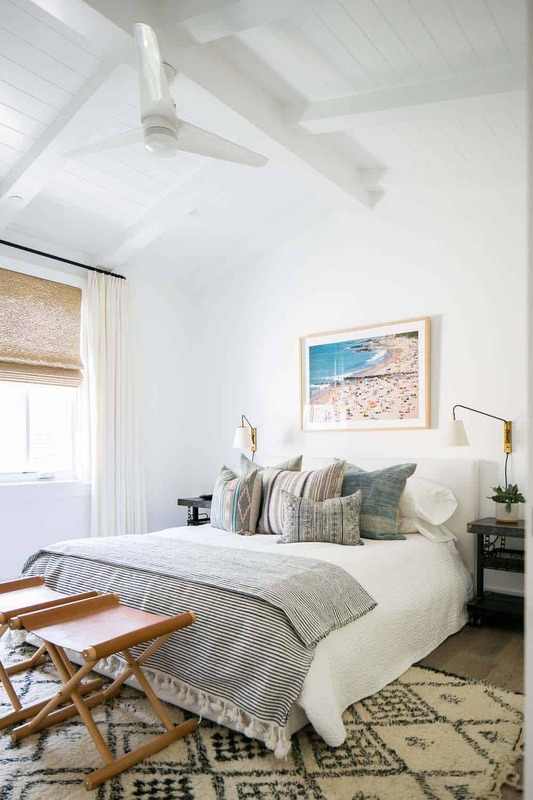 Living next to the coast implies a lifestyle partly outdoors and this home does an excellent job of providing an indoor-outdoor connection. 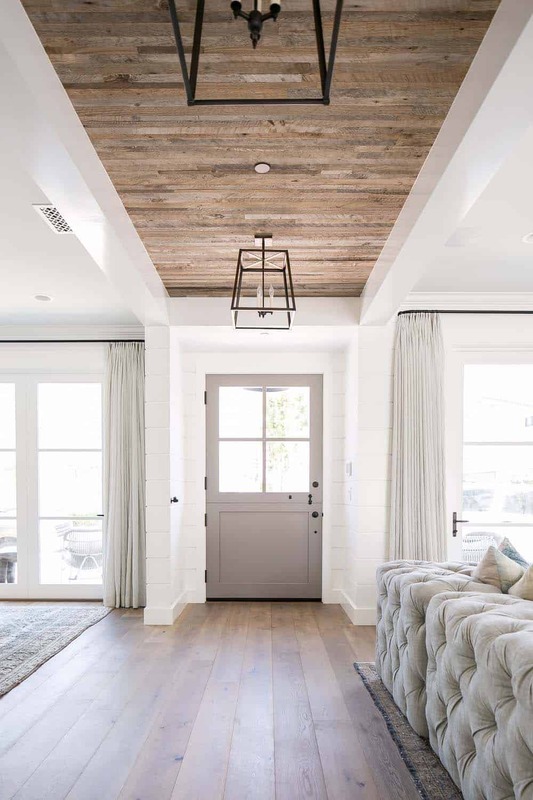 White walls helps keep this home looking crisp and clean, while wood flooring infuses warmth. 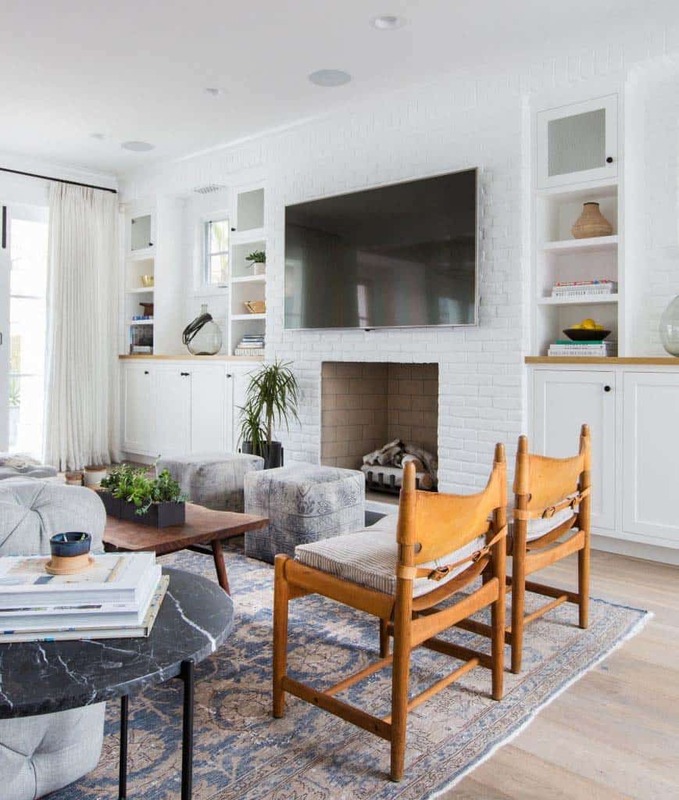 Stylish furnishings and beautiful materials creates an overall welcoming design… Readers, what do you think of the overall design of this home? 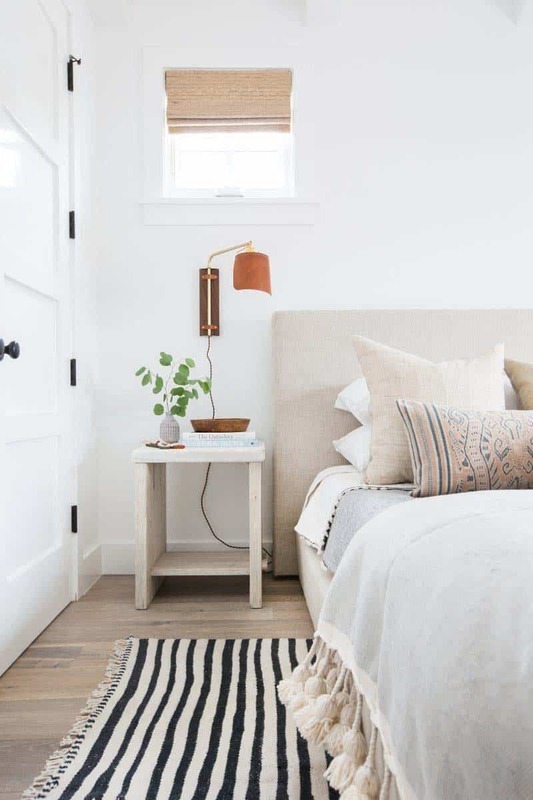 What details stand out to you? 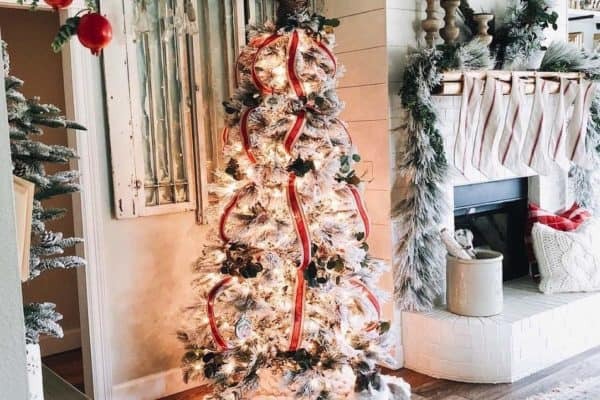 Please tell us in the Comments below! 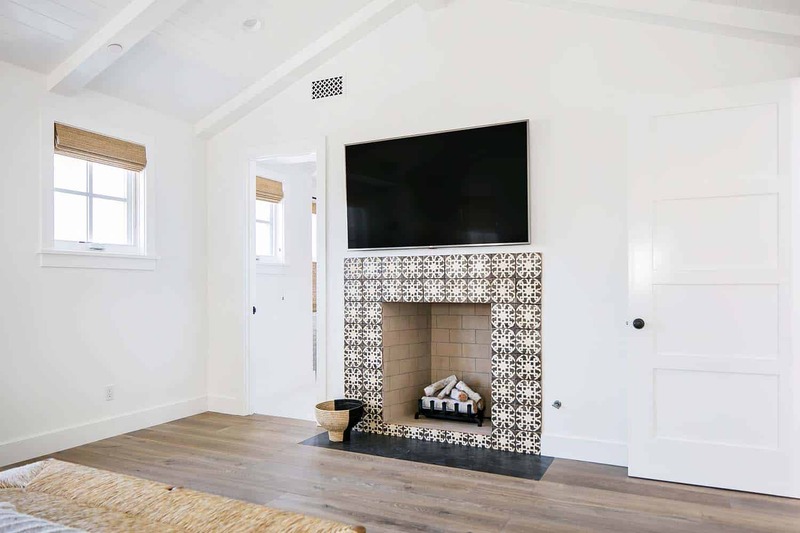 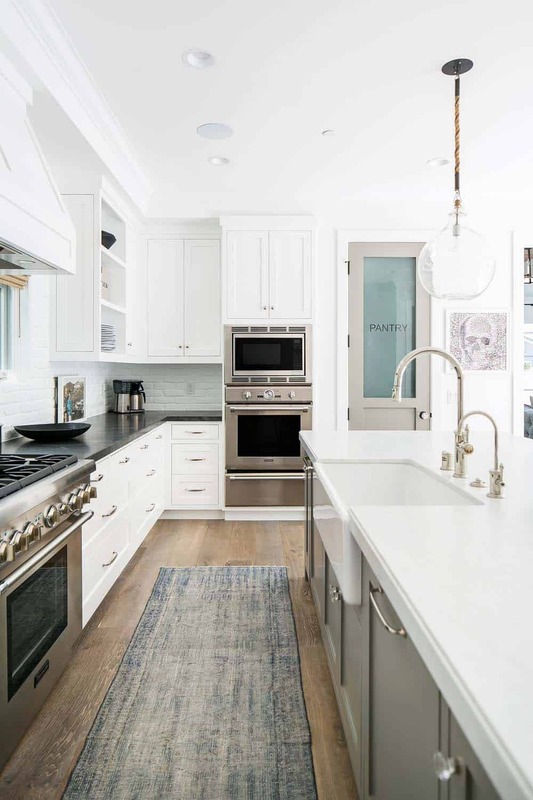 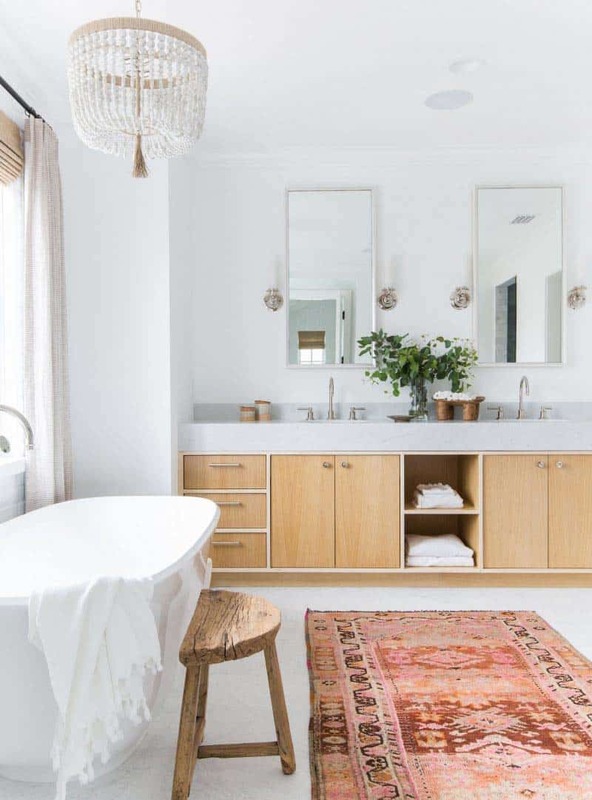 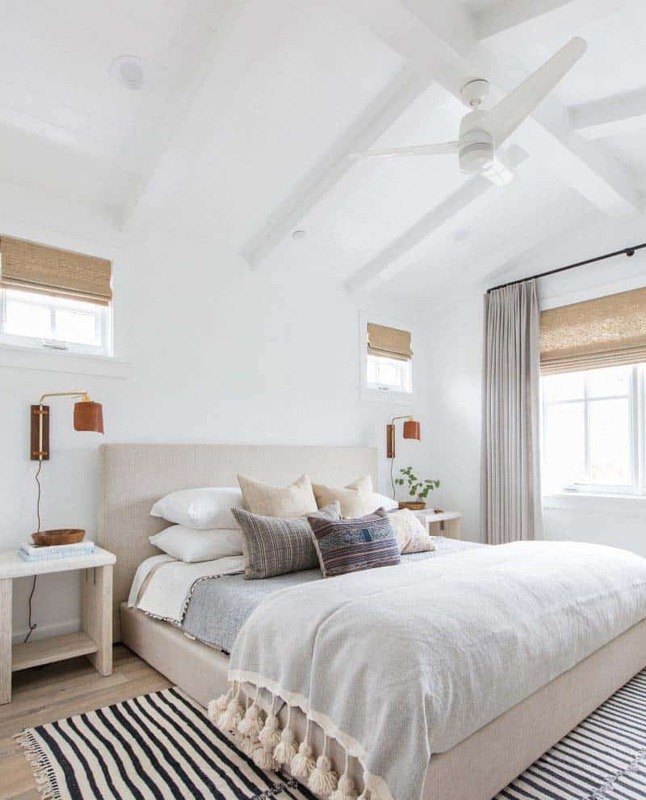 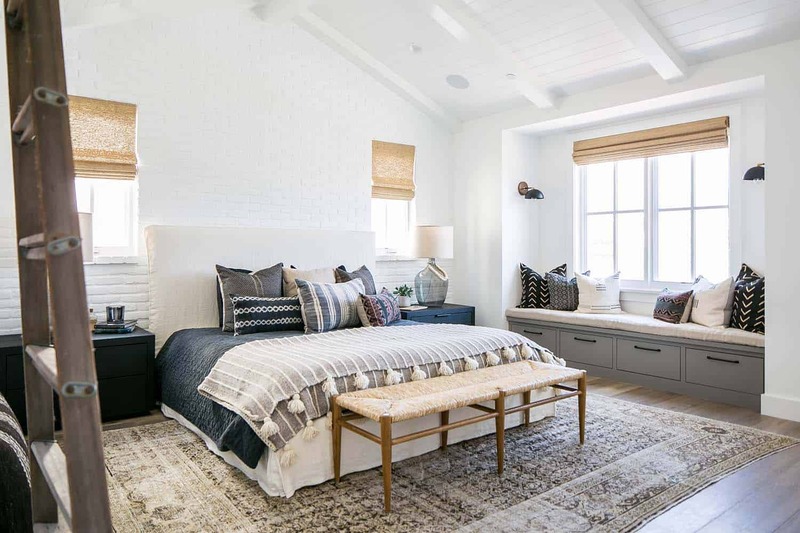 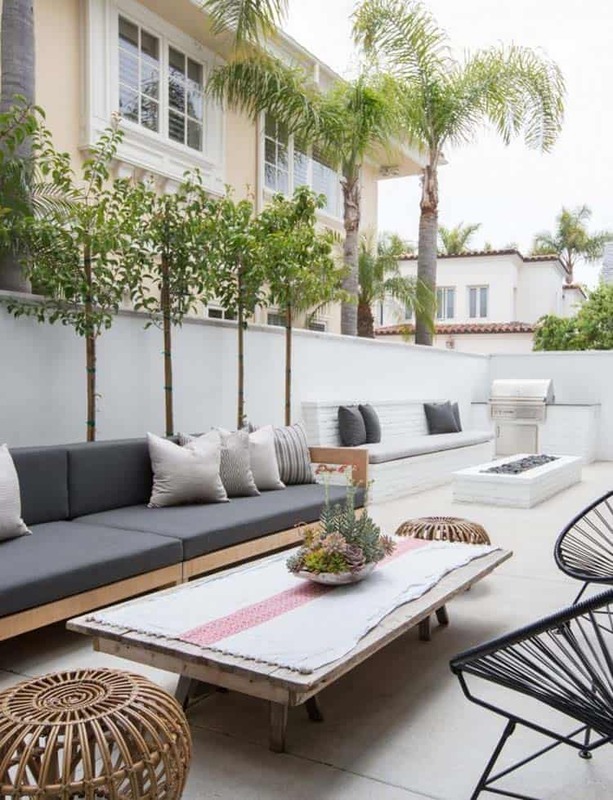 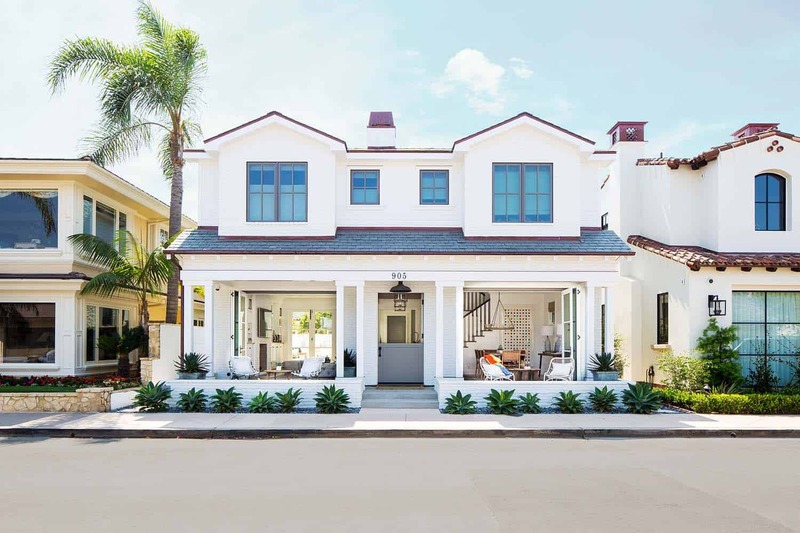 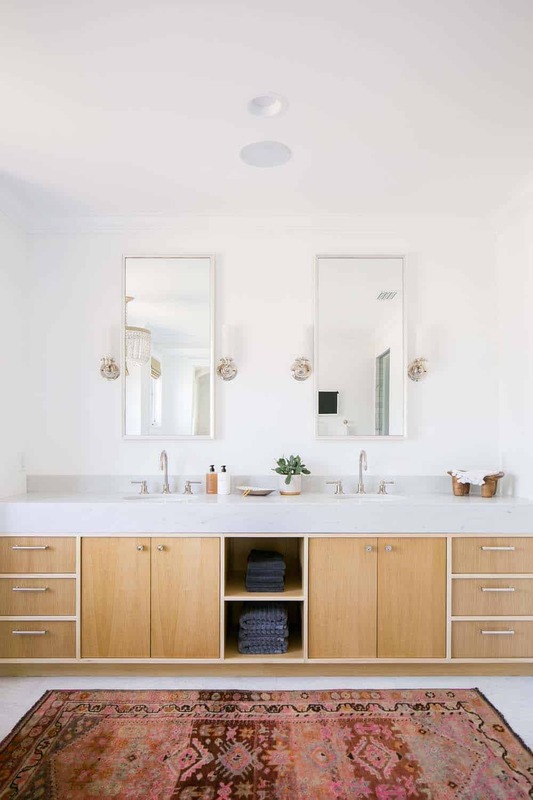 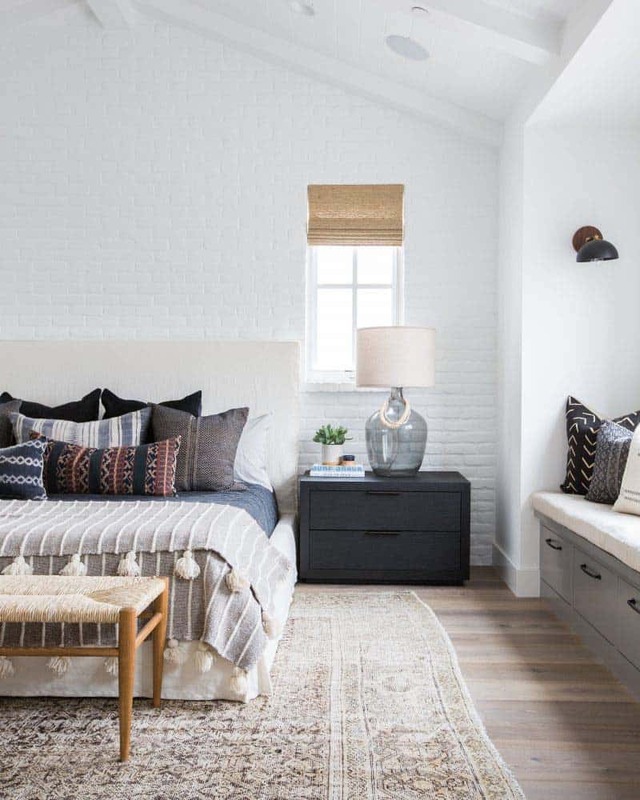 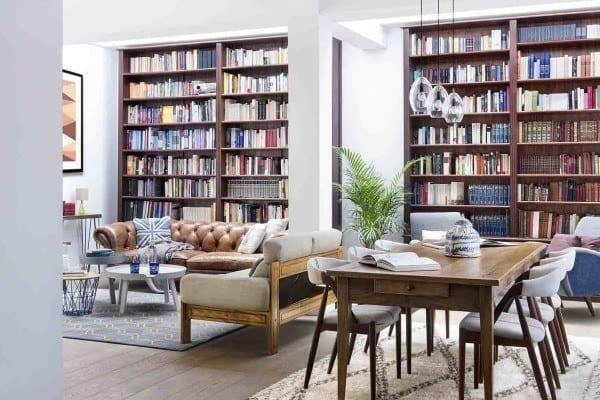 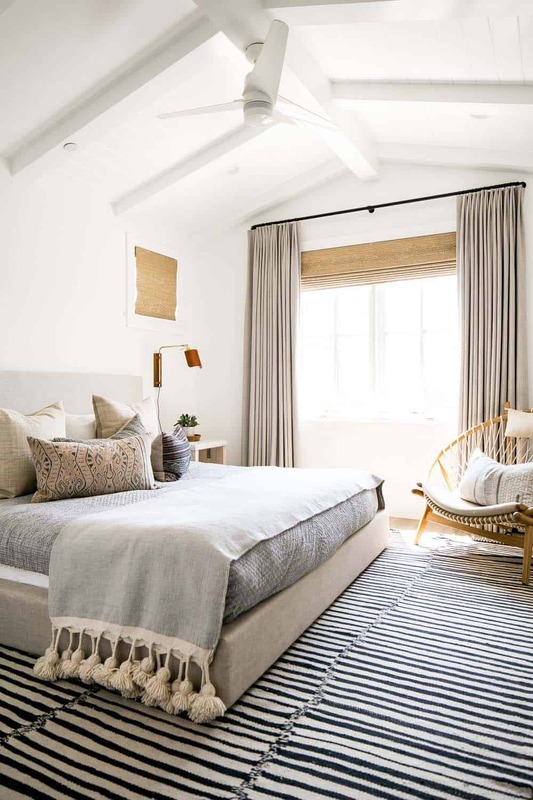 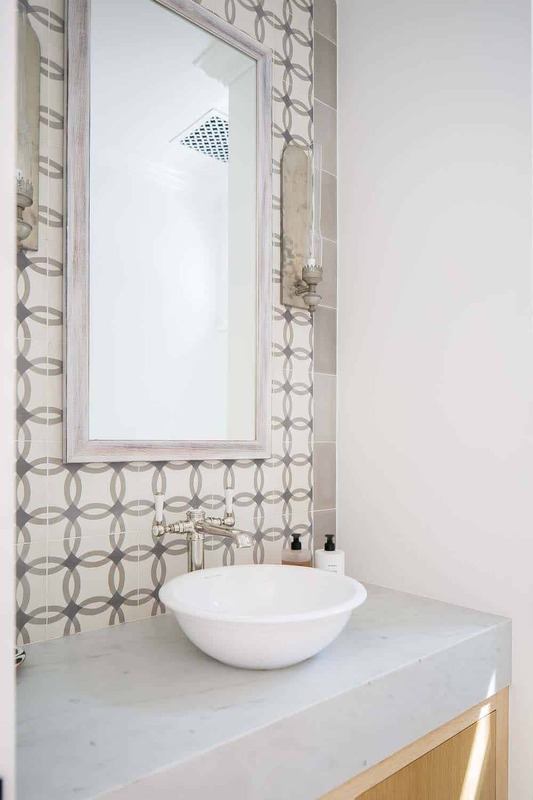 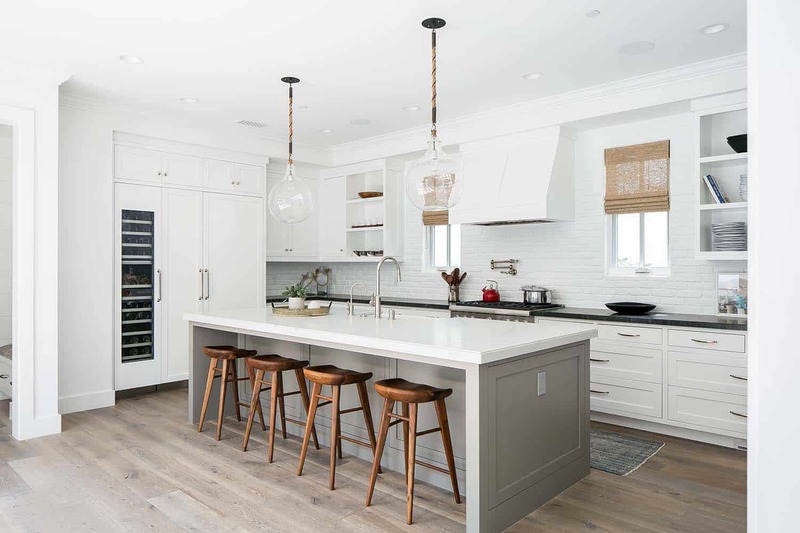 Note: Have a look at a couple of other amazing home tours that we have featured here on One Kindesign from the portfolio of Graystone Custom Builders: Seaside dream home boasting beautiful touches in Corona Del Mar and Modern farmhouse style dwelling with a twist in Newport Heights. 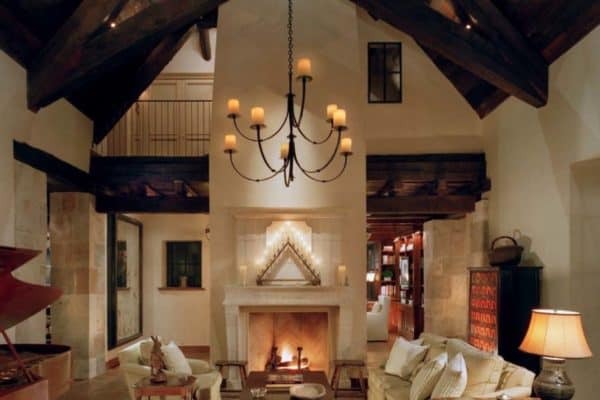 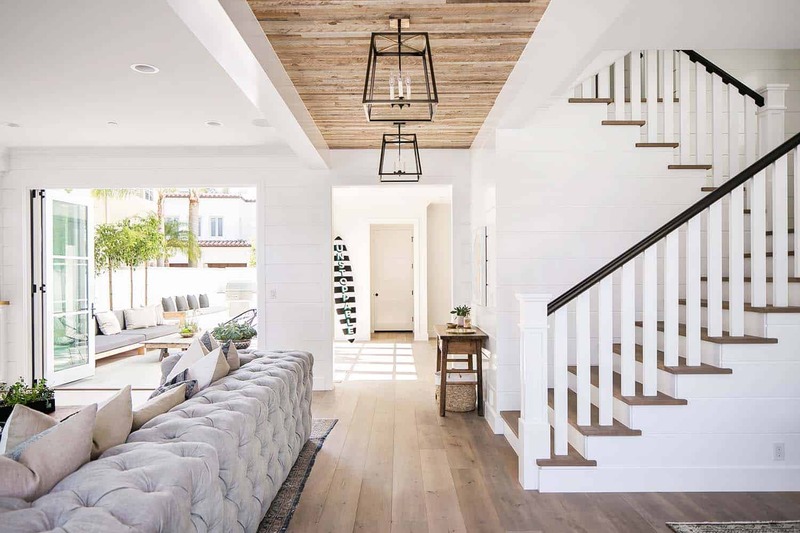 Above: Reclaimed wood was used on the ceiling of the entryway, while the custom wood floors throughout the main living spaces is by Warren Christopher Flooring in Costa Mesa, California. 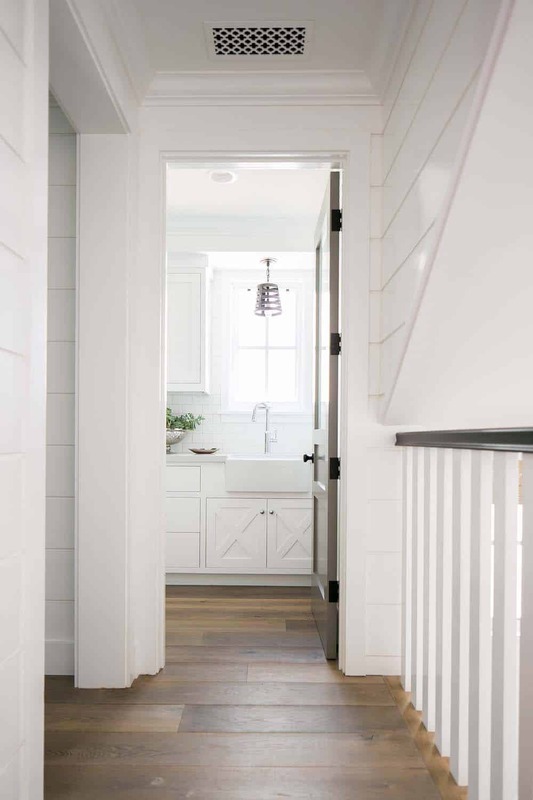 A dutch door at the front entry can be easily opened to invite the outdoors-in. 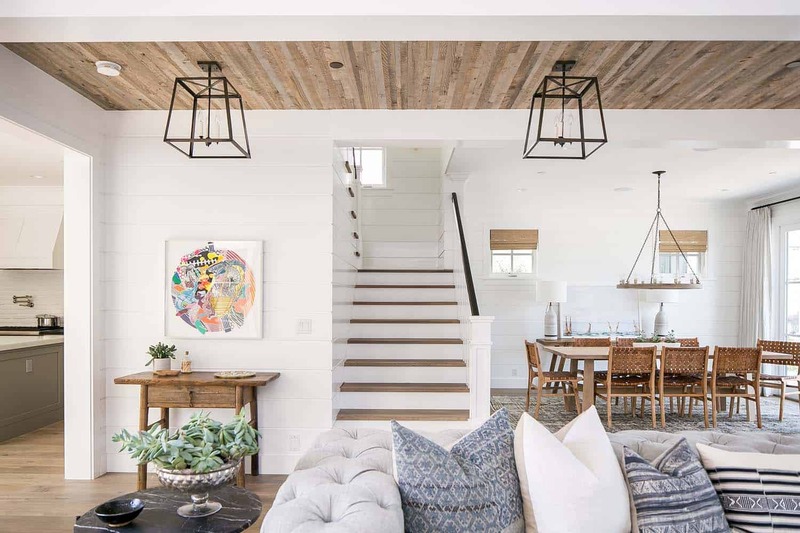 Above: Hanging over the dining table, the Arteriors 84174 Geoffrey 12 Light Candle Style Chandelier can be found on Overstock. 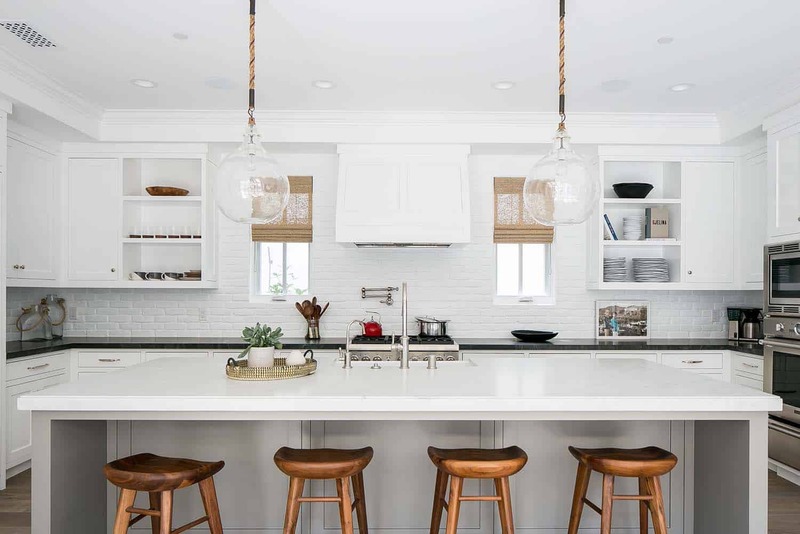 Above: In the kitchen, the perimeter countertops are granite. 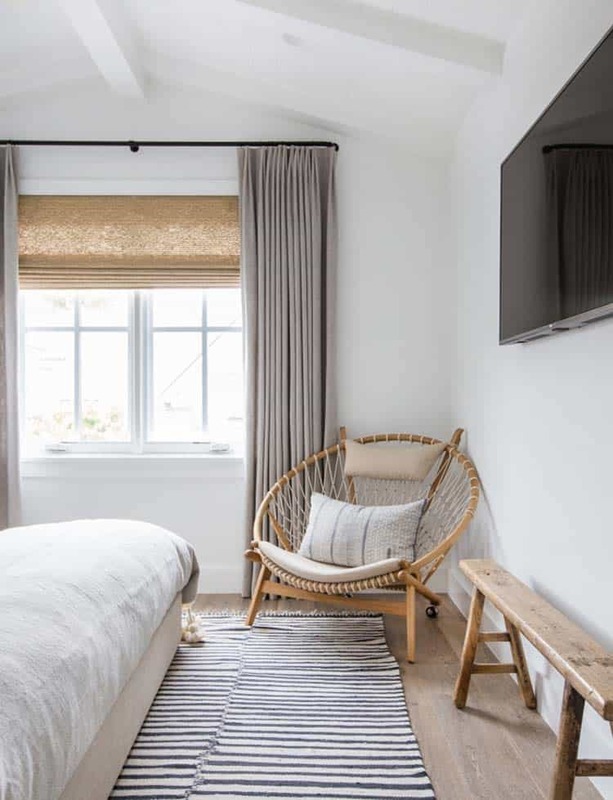 Above: In the bedroom, the depth of the window seat is 22″. 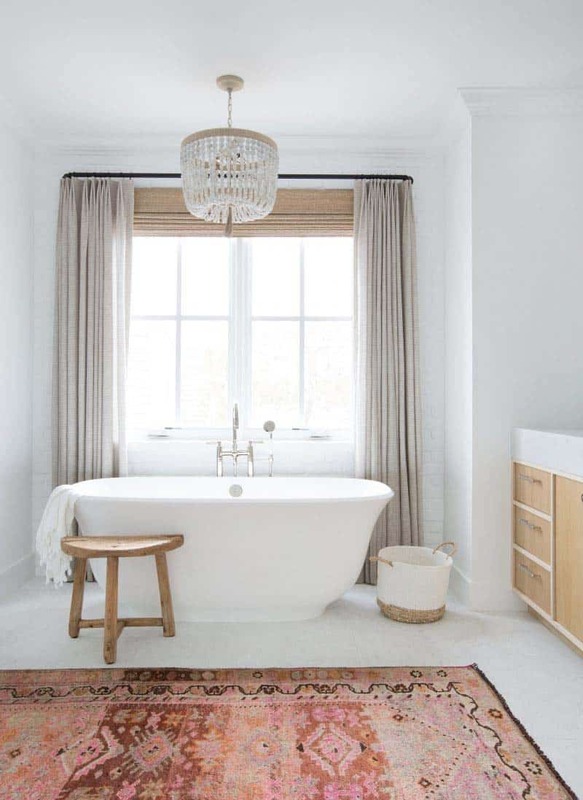 Above: The tub was purchased at PIRCH in Costa Mesa, California. 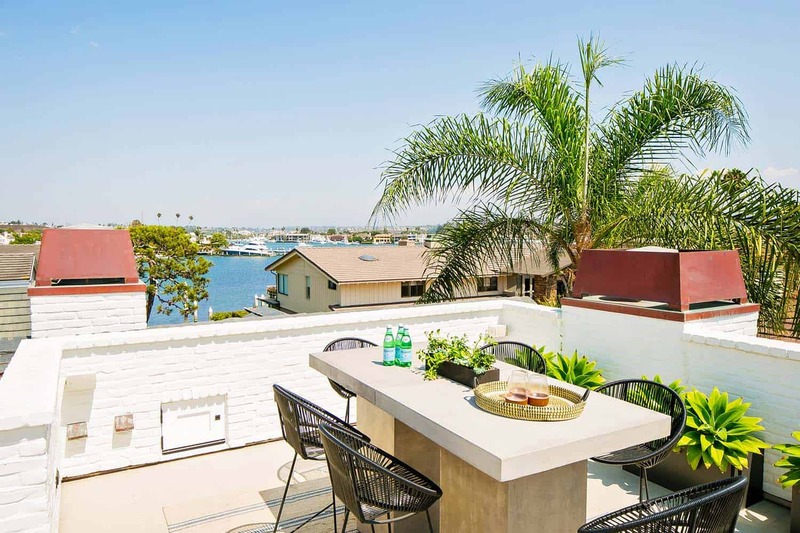 Above: A rooftop deck provides a fantastic spot to enjoy dining al fresco while providing idyllic views over Newport Bay.